Power. 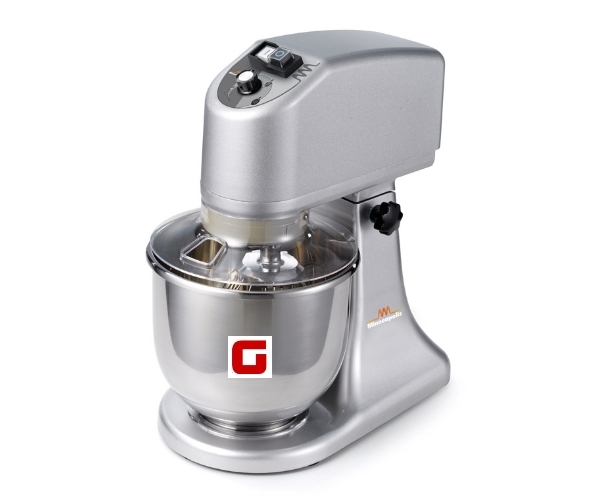 : 280 W / 230 V.
Planetary mixer with cast aluminium casing. CNS mixing bowl. Wisk, hook and flat beater. Bowl protection CNS. Suitable for medium density dough. NOT suitable for tough mix !